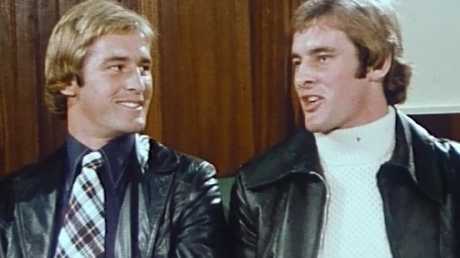 Identical twins Chris and Paul Dawson on the ABC program Chequerboard in 1975. Chris and Paul Dawson have spent their lives virtually in each other's pockets. Now, the identical brothers who call themselves "1 Twin" and "2 Twin" are separated by a set of steel bars. 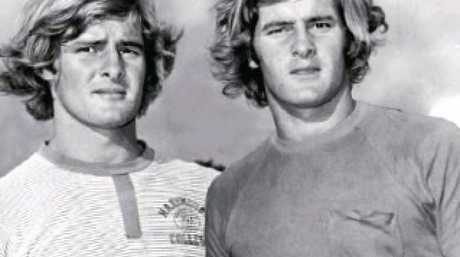 The handsome, charismatic and athletically gifted former football stars' charmed lives have been altered forever by a charge laid against Chris Dawson, accused of the alleged 1982 murder of wife Lynette. Chris, who is "2 Twin" by virtue of being the second born of the brothers, was refused bail and will spend at least a week in a cell before his next court appearance. As reported by The Australian's The Teacher's Pet podcast series, allegations of murder against Chris have previously not divided the brothers. From playing football for the Newtown Jets, becoming schoolteachers, marrying and then living a street away from each other, the Dawson twins have lived parallel lives in many respects. Identical twins Chris and Paul Dawson, above in their younger years, are now separated by prison bars. Paul Dawson only married once, but Chris has had three wives, and it is his first wife Lynette whose disappearance is at the centre of a murder investigation. 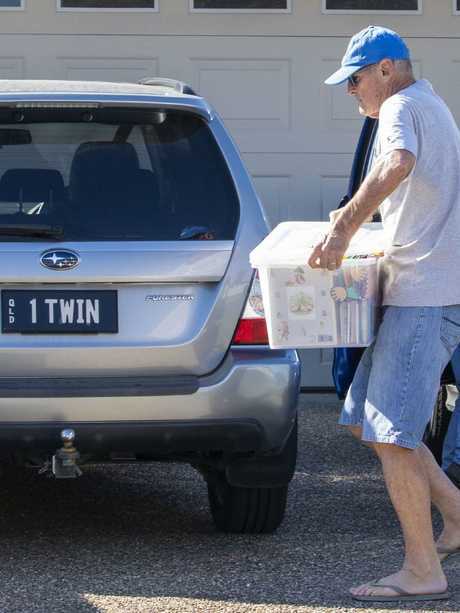 Now aged 70, the twins' closeness is reflected in the fact the retired teachers from Queensland's Sunshine Coast drive cars with "1 Twin" and "2 Twin" as their registration plates. 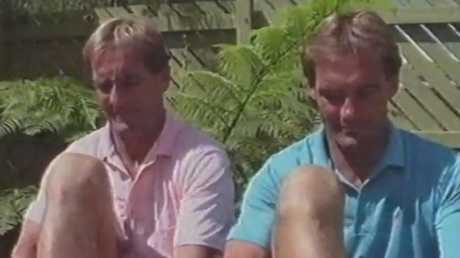 A window into their bond can be seen in a 1975 ABC TV Chequerboard series about twins, which interviewed the brothers and Chris's first wife Lyn. "Quite often, you will see a reflection of yourself and straight away you think, 'ha, it's the other one, it's the twin brother'," one of the twins tells the interviewer. "Of course, on realisation, it's obviously yourself, you sort of have a little chuckle that you could be confused. Our whole lives really are a mirrored reflection each other." The interviewer then asks: "Do you think it's hard on your wives to be married to twins … you are so close?" Paul Dawson replies: "Quite often, friends of our wives say, 'what's it like sharing your husband?'" Interviewer: "You've never pulled that trick on them?" 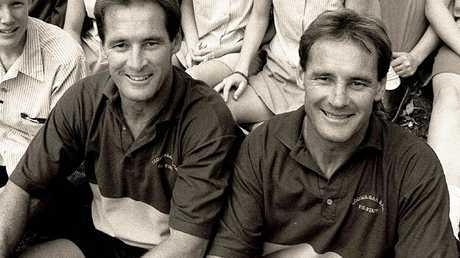 Handsome, charismatic and athletically gifted former football stars, the Dawson twins. Chris: "That's a clear no". Paul, laughing: "That's an emphatic no. "When they first start dating twins, I think they realise the relationship between twins. "I think they tend to accept it and they wouldn't enter into anything like marriage unless they did accept this bond or this relationship between your husband and his twin." Lynette Dawson then flashes on the screen for a few seconds, saying that she hadn't thought about "sharing a husband" until "somebody asked a couple of years ago". She said: "To me, it just seemed so silly. You just join in. "You encourage their closeness, not that it needs encouraging." Seven years later, Lyn Dawson disappeared, never to be seen again by her bewildered and grieving family. By 1984, Chris Dawson had married Joanne Curtis, the 16-year-old schoolgirl who had become live-in babysitter at Chris and Lyn Dawson's Bayview home in Sydney's northern beaches before Lyn vanished. The Dawson twins appearing on Chequerboard in 1975. Ms Curtis would later tell an inquest into Lyn Dawson's disappearance that she thought of Paul, the first born of the Dawson twins, as the more dominant. 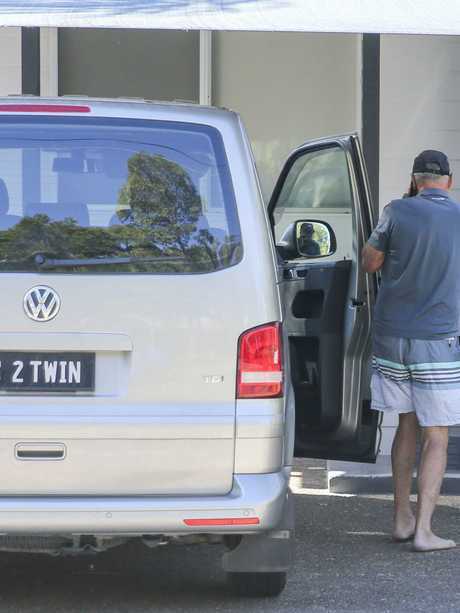 "Chris … was the one more living up to his brother," she told Westmead Coroner's Court in 2003. "I believe Paul was leading. "Chris was very impulsive, quick to get angry. Paul was much calmer and self controlled." The difference in personalities of the twins was characterised in their old nicknames, "Cranky Chris" and "Passive Paul". Paul and Chris Dawson both became teachers after their football careers. 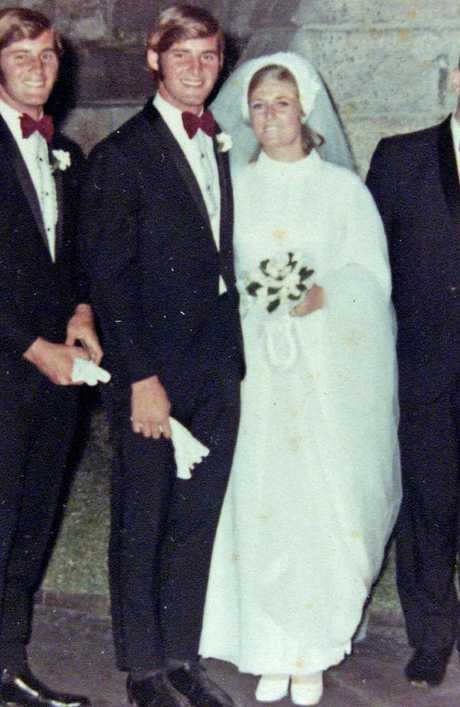 Ms Curtis and Chris Dawson, who married in 1984, moved to Queensland where they lived in a house one street away from Paul Dawson and his wife Marilyn. Ms Curtis and Chris Dawson later separated and Mr Dawson entered a third marriage. 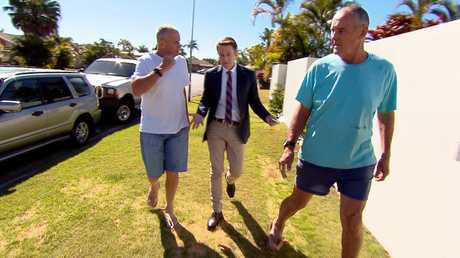 After the launch of The Teacher's Pet podcast, Channel 9's A Current Affair filmed the twins on a street near their homes. 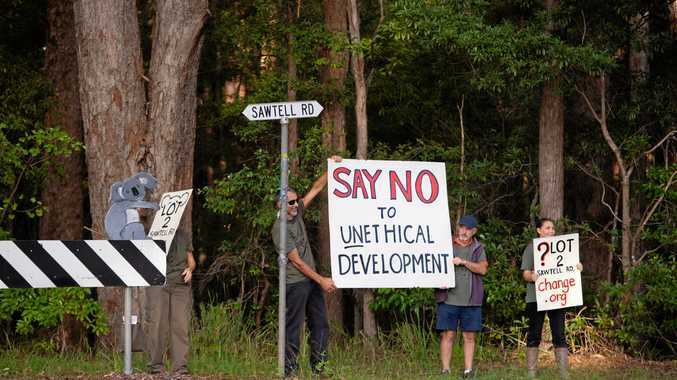 Chris Dawson has been remanded to appear in Central Local Court on December 14. The twins, above on 1975 ABC program Chequerboard, said their wives understood their closeness. 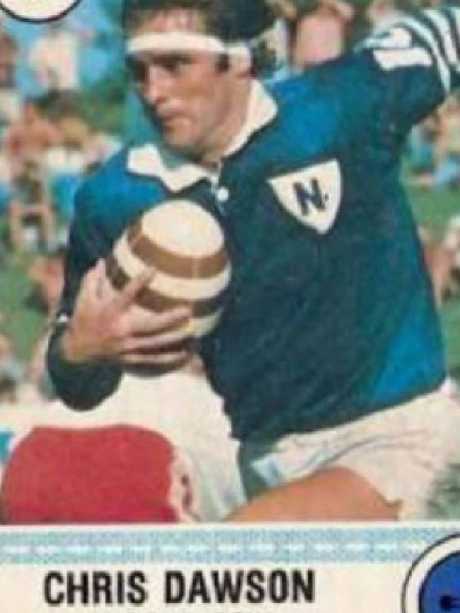 Newtown Jets playing card of Paul Dawson. 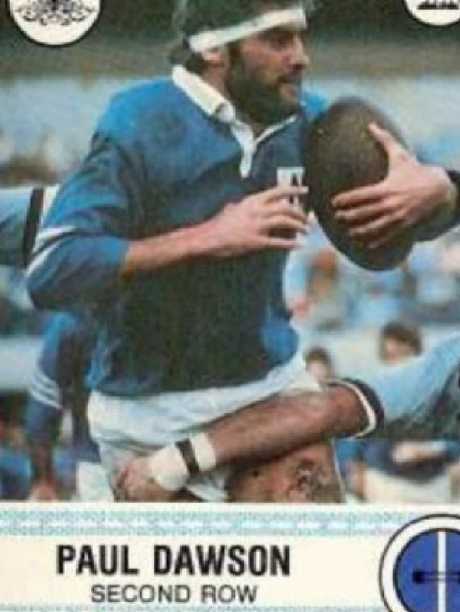 Like his brother, Chris played second row. The handsome twins, above in a 1980s advertisement, enjoyed a brief career as actors and models. 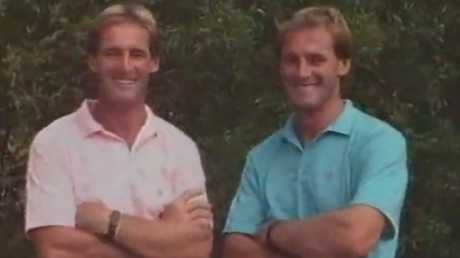 Chris (right) and twin brother Paul Dawson have led parallel lives in some respects. Chris Dawson with wife Lynette with brother Paul (left) as best man on their wedding day.